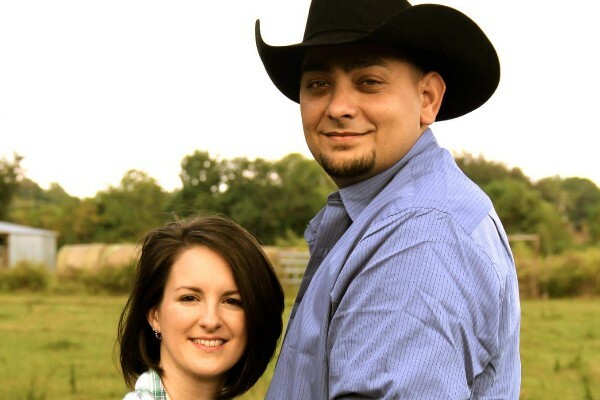 Fundraiser for Kristen Felts by Samantha Bell Harney : Please help the Felts Family! 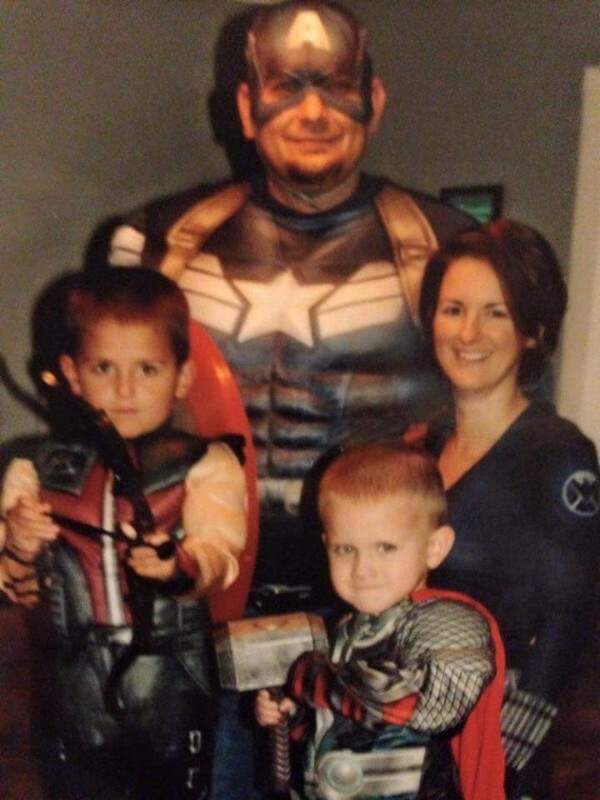 Please help the Felts Family! 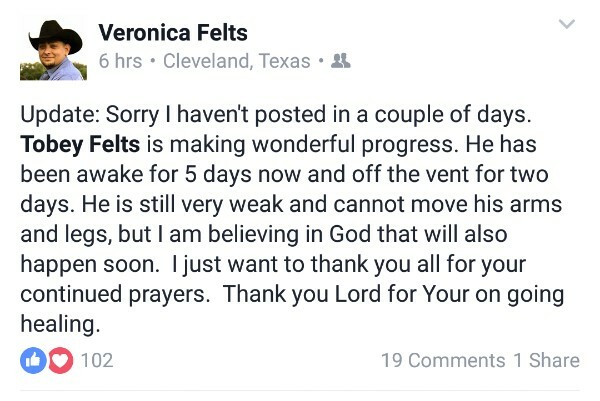 Tobey Felts fell 6 stories in an elevator shaft at work on June 22nd, 2016. 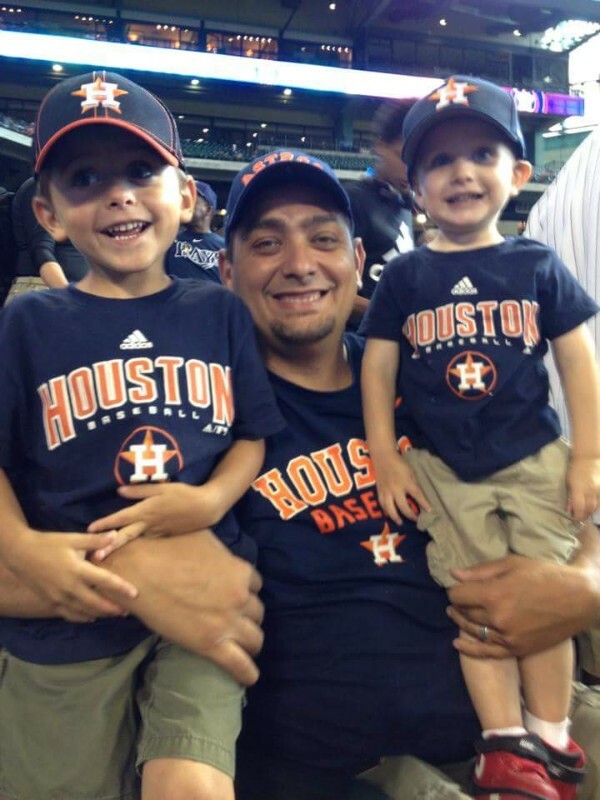 He has 2 boys and his wife Kristen Felts is pregnant with a baby girl. Tobey will have a very long recovery ahead of him. 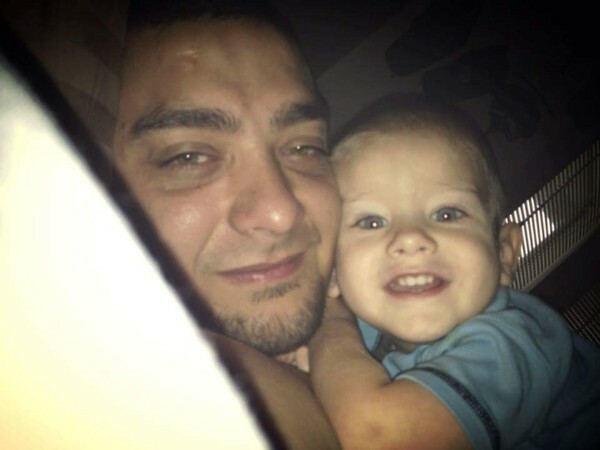 Please donate whatever God lays on your heart to help the family with parking, food, medical, and financial expenses they will have to endure on this road to recovery. If anyone would like to take part, there is a raffle going on. 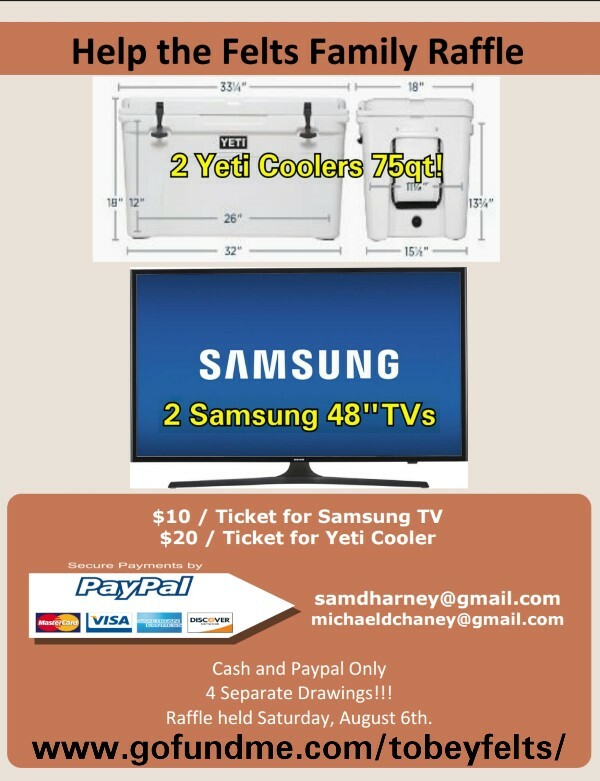 2 yeti 75qt coolers and 2 Samsung 48 inch tvs. 4 drawings on Aug 6th. Update: Sorry I haven't posted in a couple of days. 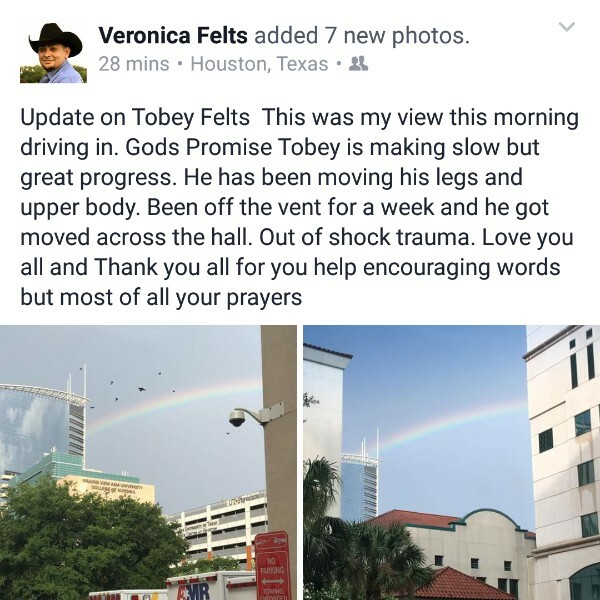 Tobey Felts is making wonderful progress. He has been awake for 5 days now and off the vent for two days. He is still very weak and cannot move his arms and legs, but I am believing in God that will also happen soon. I just want to thank you all for your continued prayers. Thank you Lord for Your on going healing. 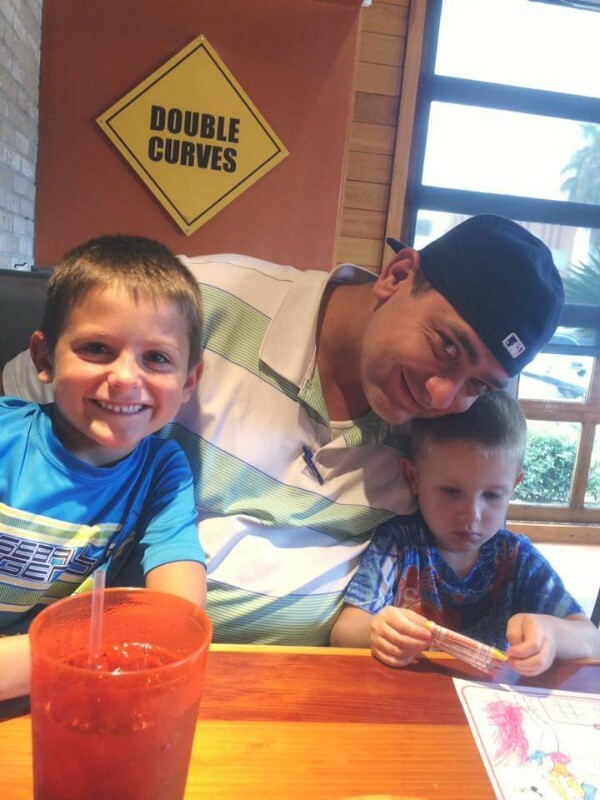 Y'all Please help this Family if you can? We don't know them, but, they're needing some help, here, really bad! God Bless! 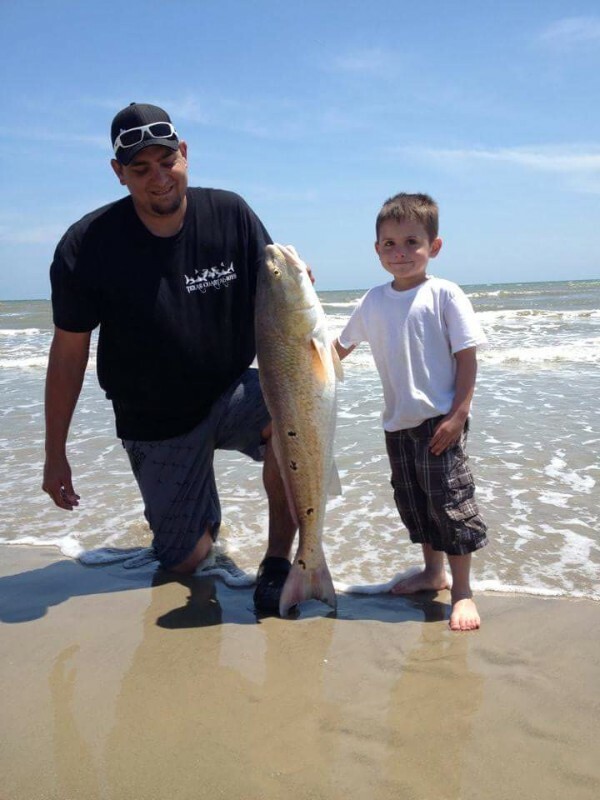 Prayers going up for Toby and his family.